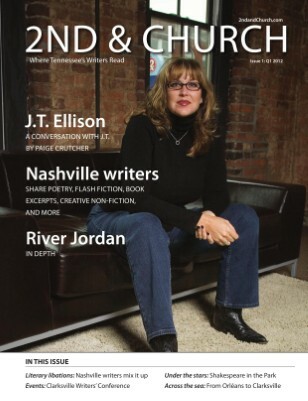 In Depth Interview: Nashville author and novelist River Jordan sits down with Denice Hicks to talk all things theater...and maybe unearth a surprise or two. 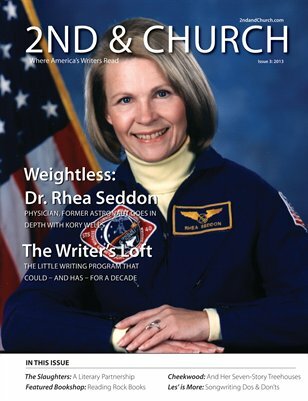 Vacation Bible School, summer camp, Boy Scout/Girl Scout Jamborees, and so much more: many of us have gone forth in the world as children and had the summers of our lives. And now, children are doing it...Bard Style, thanks to the NSF and The Theater Bug. 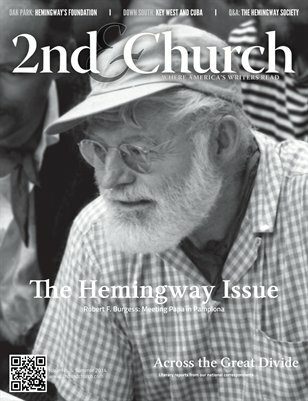 In this issue, you'll be able to read all about it, thanks to local writer and long-time NSF supporter Lynne McAlister. 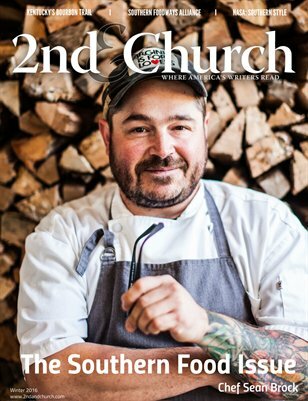 We are delighted to offer our readers this free sneak peek into a selection from our Theatre issue. Did you know that not all stories are focused on the Theatre? 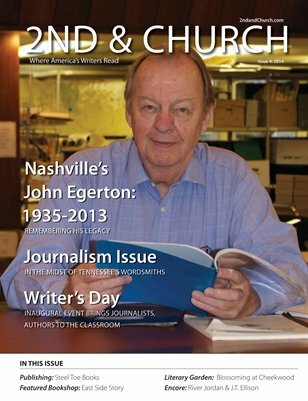 We have plenty of book reviews, Q&As with community arts leaders, and something special from The Porch Writers’ Collective. Entitled, “Retreating at Rivendell,” The Porch Writers’ Collective’s Co-Founder Katie McDougall recounts The Porch’s inaugural “Sense of Place” weekend writing retreat. Click here to read the full article. And if you like what you read, great news: their next retreat is in November! NSF's Shakespeare in the Park: Volunteers Make it Happen! Click here, take a look at the photos and see if you can spot any copies of 2nd & Church at 2013's summer Shakespeare in the Park! ...and enjoy this collection of photos from volunteer training, the opening night, and a few additional performances. 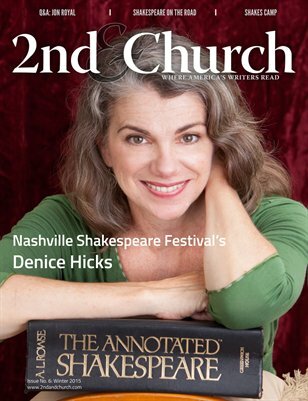 A big HATS OFF to all the Nashville Shakespeare Festival leadership and volunteers who continue to give freely of their time and energies so that we Nashvillians may have a third place to visit, mingle, and be...as well as to enjoy the Bard's works! Rickey Chick Marquardt sits down with Anne B. Pope (Executive Director of Tennessee Arts Commission) and Jennifer Cole (pictured left), Executive Director of the Metro Nashville Arts Commission to explore their artisitc lives in Music City, as well as the good work their organizations are doing throughout our city. Jon Royal (Teaching Artist in Residence) is a local actor, director, and teacher who got his start with students in the summer of 1990 working for the YMCA of Middle Tennessee’s childcare department and has been instructing youth ever since. He is the co founder of the Voices Arts Institute for Youth in Murfreesboro, and served as its Artistic Director from 2000-2002. He is a teaching artist for numerous arts educational programs in Middle Tennessee including TPAC education’s Artsmart and Wolftrap programs, Nashville Children’s Theatre, Stageworks, and The Nashville Shakespeare Festival. Jon has also taught master classes for youth and teens in Russia, Finland, and Latvia. He has appeared as an actor in productions by Nashville Shakespeare Festival, Nashville Children’s Theatre, MTSU Theatre, People’s Branch Theatre, Mockingbird Theatre, Actor’s Bridge, and The Nashville Opera Association. Join us for a casual conversation with Jon on the Theatre and Othello, which he directed earlier this year. Louisville, Kentucky Correspondent Mary Popham Takes in a Performance: "Looking for Lilith in Louisville"
Ray Zimmerman Interviews: "The Making of a One Man Show"
Thanks to our poetry editor Alvin Knox, we have a great collection of poetry from poets across Tennessee and even into Mobile, Alabama. 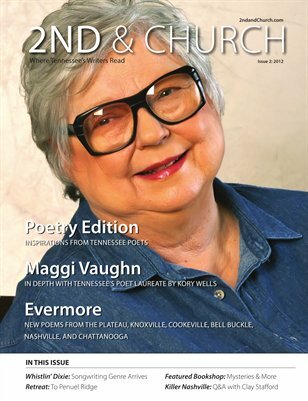 In addition to Alvin's "From the Poetry Editor" column, which always presents great insights on his craft, there's work by Nashville poet and educator Bill Brown ("Music" and "Mercy"), Chattanooga poet Ray Zimmerman ("Blue" and "Salvador Dali Meets Gertrude Stein"), Alabama poet Elsie Mosher ("Accrued Interest"), and Chattanooga poet KB Ballentine ("Message to the Writer" and "Looking Toward Dawn"). 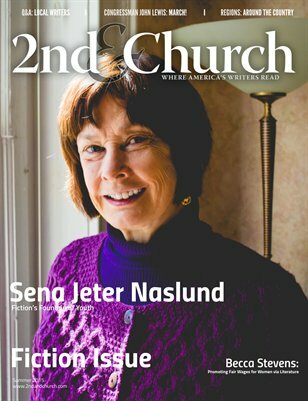 Our international columnist Jennifer Palley reports in from Sweden: "Away from English"
Book Business columnist Julie’s Schoerke: "Why It’s Important to Support Your Local Indie Bookstore"
Local Literary Columnist Chuck Beard: "Poetry in the Brew"